Russia has publicly touted an array of natural gas export projects over the past year, a web of pipelines that would connect Russian gas to some of its largest customers, while also achieving important strategic objectives. But many of these projects will not come to pass. Russia is one of the world’s largest producers of natural gas, and Europe has long been its most important customer. But that suddenly changed after the Ukraine crisis began in early 2014. Since then, Europe has made some small but important steps towards reducing its dependence on Russian gas, while weak demand, mild winters, and high levels of gas storage have all highlighted the market risk that Russia’s state-owned Gazprom runs by relying too heavily on Ukraine as a transit route, and Europe as its predominant export destination. The lower demand from Russia’s western neighbors has cut into Gazprom’s profitability. Gazprom’s exports declined 8 percent in the first half of 2015 compared to a year earlier, and in June, the company reported that its production had fallen by 19 percent compared to the same month in 2014. For years, Russia has pursued major pipeline projects that would work around Ukraine in order to reliably export to Europe while freeing its hand in Ukraine. Those efforts have stepped up over the past year, with Russia pushing the Turkish Stream Pipeline and the expansion of the Nord Stream Pipeline. Also, in a change of strategy, Gazprom has looked east for its future, as it sees the business climate in Europe start to sour. Concentrating on selling to China also makes sense as it is expected to see its gas consumption rise in the years to come. Related: Who Is Leading The Charge In Energy Storage? However, the groundbreaking $400 billion gas deals that Russia and China agreed to in 2014 may not turn out to be the huge win that Gazprom had hoped. The deal called for a long-distance pipeline – nicknamed the “Power of Siberia” – to connect Russian gas to various points in China. 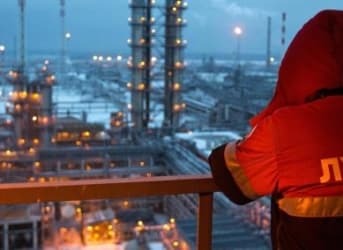 Details had remained close to the vest, but Gazprom officials revealed on August 10 that the deals would leave the company vulnerable to low gas prices. Natural gas prices have fallen in many parts of the world, dropping in concert with oil. Officials at the Russian gas company confirmed that instead of a fixed price, gas sold to China through the pipeline would be pegged to a basket of oil benchmarks, according to the FT. If low natural gas prices continue, the major pipeline deals with China would be unprofitable for Gazprom. “We have registered high risk appetite for this contract and we do not envisage such an event,” Pavel Oderov, a director at Gazprom, said. 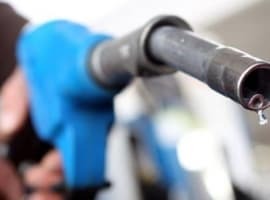 But given the fact that gas sold for $350 per thousand cubic meters at the time of the announcement, the fall of around half since then means that gas prices “could be as low as $175/thousand cubic metres — clearly a lossmaking level,” Moscow-based energy analyst Ildar Davletshin told the FT. It isn’t just the Power of Siberia facing an uncertain future. A report last month from the Center for Strategic and International Studies outlined 10 major gas projects that Moscow has trumpeted that may not come to fruition. For example, an LNG export terminal from Vladivostok on Russia’s Pacific Coast, which would have sent Russian gas to Japan, was recently postponed. Also, the hyped Turkish Stream Pipeline faces formidable obstacles as well. Conceived of as a competing alternative to the western backed pipeline that would connect gas from Azerbaijan to Europe, the Turkish Stream pipeline would cost $20 billion. But Gazprom and Turkey have not agreed to terms yet, and a contract with Italian company Saipem to start laying pipe was cancelled in July. Perhaps more importantly, Turkish Stream would end up competing with Gazprom’s other proposal in the Baltic Sea, the Nord Stream expansion. Nord Stream, according to CSIS, is a bit more viable, but neither of the projects have particularly good prospects at the moment. Related: This Key Natural Gas Announcement Is Coming "Any Day"
Other proposals, such as Russia’s Altai Pipeline to western China, could go nowhere, as China would need to build a massive pipeline infrastructure to move gas from its western provinces to its major consumer markets in the east. Yamal LNG, an export terminal on Russia’s Arctic Coast, is facing obstacles, but could move forward with heavy government support. In addition, the U.S. government just slapped sanctions on Sakhalin-3, an expansion of an LNG project on the island of Sakhalin. 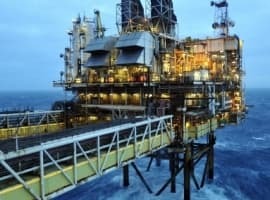 That could scare away international companies like Royal Dutch Shell, which had taken steps to make asset swaps with Gazprom in order to acquire a stake in the project. That could lead to delays as the project needs western technology to proceed. Russia has put a lot of effort into building large-scale pipelines and LNG export facilities in order to expand gas sales. But many of the flagship proposals may not move forward. 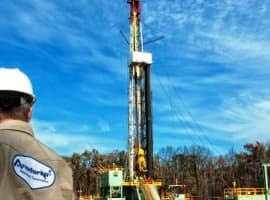 Is Natural Gas As Clean As We Think? Interesting article but like many journalists you fail to see some core facts. Azerbaidjan have almost no gas ! All the talks about the european southern corridor bringing caspian gas is a pipe dream. I repeat : Azerbaidjan has almost no gas and gas-rich Turkmenistan will never be allowed by Russia and Iran to construct a pipeline under the Caspian. So like it or not, russian gas is the only viable option for Europe and european leaders perfectly know that even if they're not keen admiting it.